Today i installed the Event Calendar extension and WP FullCalendar for the first time. It shows that the install was successful and enabled. However the instructions for this extension say "A "Show Events Calendar" link appears under Events. The settings link is the same as the Show Events Calendar link but with "eventcalendarsettings" instead of "showevents"." 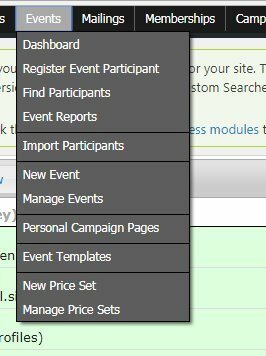 I am looking and I do not see these links anywhere in my menus or manage Events page. Does anyone know where it is? I am not seeing how to get my events to display on Fullcalendar. I put in a ticket for this on GitHub - I also had the same issue - and even when I found the menu manually - it was full of errors. Still more work needs to be done with this plugin. It will not create the menu items automatically like it is supposed to, so you can create them yourself with the below instructions. Go to Administrator -> Customized Data and screen -> Navigation Menu -> Add New Item . Set the title "Calendar Settings" and the URL civicrm/eventCalendarsettings Make the Parent Events. Click save. Go to Administrator -> Customized Data and screen -> Navigation Menu -> Add New Item . Set the title "Show Calendar" and the url civicrm/showevents. Make the parent Events. Click Save. Now the items are in the civi menu under events. Not the answer you're looking for? Browse other questions tagged wordpress civievent extension calendar or ask your own question. Safe to uninstall Mosaico extension? 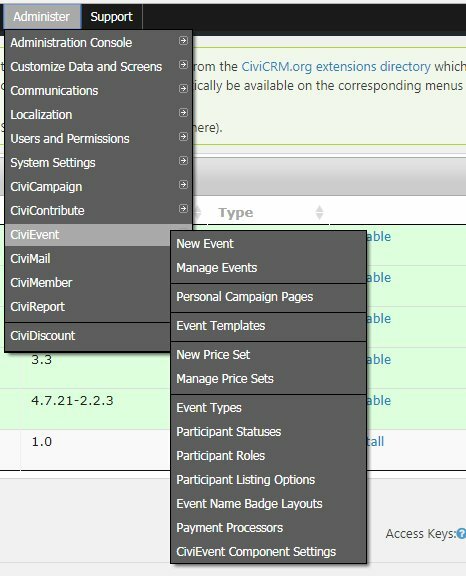 How to add additional action buttons in a civicrm Add Event form?